Pages : 52 pp col.pl. 1. Preface. 2. Preamble. 3. 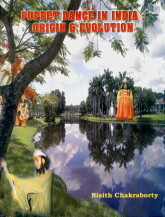 History, origin and evolution. 4. What is puppet? 5. Indian puppet. 6. Puppet dance: West Bengal. 7. A survey on the puppet troupes of West Bengal. 8. An introduction of the leading puppeteers. 9. List of puppet troupes of West Bengal. 10. Conclusion.